Dr. Lakshmi C. Tegulapalle joined the Hill Medical Corporation in 2008 specializing in Breast Imaging. She had the honor of being our first female Radiologist at our breast center. 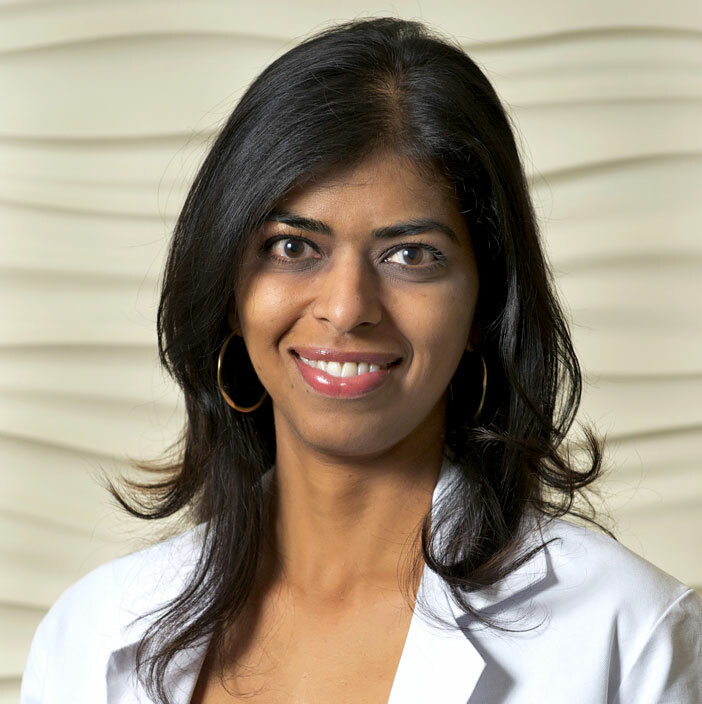 Dr. Tegulapalle has been instrumental in developing our breast program at Jim & Eleanor Randall Breast CenterDue to her expertise and dedicated patient care, she has established a reputation for imaging excellence in Breast Imaging. Her commitment to providing premier service with compassion and sensitivity serves our patients well. Prior to joining the Hill Medical Corporation, Dr. Tegulapalle worked for the Lynn Sage Comprehensive Breast Center in Chicago. She completed her fellowship training in Women’s Imaging at Northwestern Memorial Hospital in Chicago. She completed her Diagnostic Radiology Residency at the John H. Stroger Hospital of Cook County in Chicago. Dr. Tegulapalle has extensive experience in Breast Imaging. She was a Clinical Instructor of Radiology at Northwestern Memorial Hospital and Feinberg School of Medicine. Dr. Tegulapalle works closely with the breast surgeons and pathologists at Huntington Hospital to ensure the right path for their patients once diagnosed with breast cancer. Dr. Tegulapalle can be relied upon to provide imaging excellence in Digital Mammography, Breast Ultrasound, Breast Biopsy, and Breast MRI.